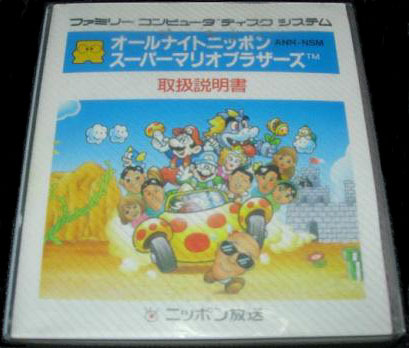 All Night Nippon Super Mario Bros. was given out by the Japanese radio station All Night Nippon as a part of a raffle. It’s not known how many of the games were given out. The game is unique because it’s a basic hack, having changed minor sprites including the addition of radio station personalities. Each game came with the standard clear plastic sleeve and plastic disk case, a manual, a pink paper, and the disk itself. 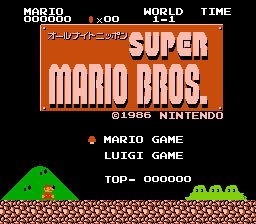 All Night Nippon Super Mario Bros. was never available in Disk Writers, but there are pirated versions of it available, usually on the B-side of Super Mario Bros. 2 disks. 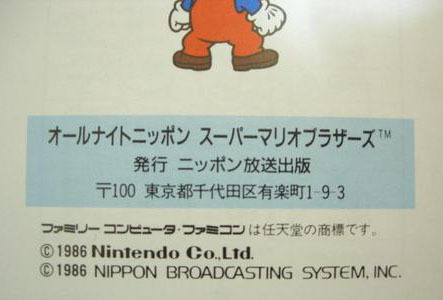 One complete, mint All Night Nippon Super Mario Bros. recently sold at auction for over $1,250. Yes, it’s rare. 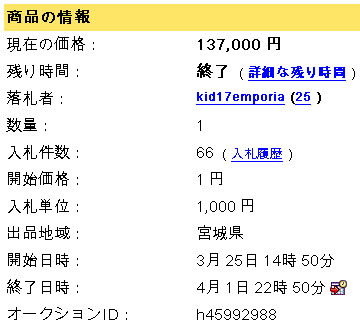 All Night Nippon ended for 137,000yen in a Yahoo! Japan auction. The manual cover has art unique to this version of the game. The label shows a 1986 copyright date. 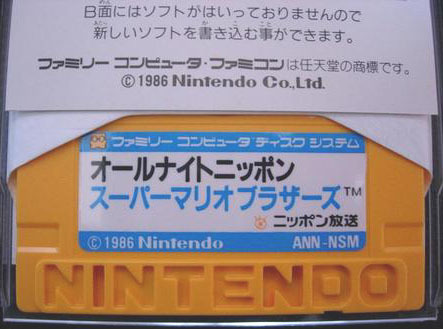 Nintendo and Nippon Broadcasting System co-released the game.